US 1in x 2in morale patch with hooked velcro on rear. 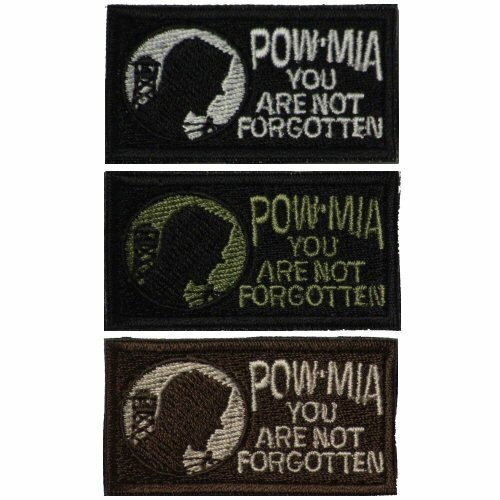 This patch is for 'POW MIA', in either black, olive or desert colours. Please note that price is for ONE patch only. Available options are: Black , OD (Olive Drab), Tan .